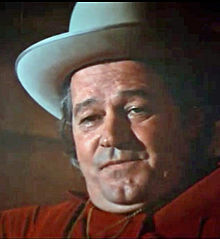 Murray Hamilton (March 24, 1923 – September 1, 1986) was an American stage, screen, and television actor who appeared in such memorable films as The Hustler, The Graduate, and Jaws. Born in Washington, North Carolina in Beaufort County, North Carolina in eastern North Carolina, Hamilton displayed an early interest in performing during his days at Washington High School just before the outbreak of World War II. Bad hearing kept him from enlisting, so he moved to New York City as a 19-year-old to find a career on stage. His most famous movie roles is perhaps as the obdurate Amity Island mayor Larry Vaughn in the Steven Spielberg shark thriller Jaws. Hamilton also appeared in its sequel Jaws 2 and was signed on to reprise the role of Mayor Vaughn in a cameo for Jaws: The Revenge, but died before filming began. In two of his most distinctive performances, Hamilton appeared with Paul Newman in The Hustler (1961), playing Findley, a wealthy billiards player who gambles for high stakes, (1965-1966) The Fugitive and in The Graduate (1967) as Mr. Robinson, husband of Anne Bancroft's Mrs. Robinson. In 1975, Hamilton starred again with Newman in The Drowning Pool. He also worked with Robert Redford in a pair of films, 1973's The Way We Were and the 1980 prison drama Brubaker. For many years both before and during his movie career, Hamilton was a prominent dramatic actor, earning a Tony Award nomination for his role in the 1965 production of Absence of a Cello. He died from cancer and is interred at Oakdale Cemetery in Washington, North Carolina. This page was last changed on 1 January 2015, at 14:20.